Paul Weller Interview From The Independent! – Paul Weller News! 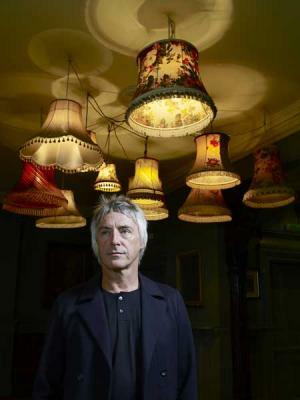 Paul Weller Interview From The Independent! There’s no denying it; Paul Weller is growing up. That familiar haircut still hugs his ears, but he’s ditched the highlights and let the grey come. His accent is the same old unfussy Estuary, but his voice is craggier, richer. His music always used to be distinctly of its time. The new stuff is almost timeless. Winning a Lifetime Achievement Award at the Brits, as Weller did in 2006, is normally an invitation to retire quietly to the country and release an MOR nostalgia record once every couple of years. Instead, he went and made 22 Dreams, the most experimental album of his career, and one of the most ecstatically received. When he returned to the Brits last year it was to collect the award for Best Male Solo Artist. He’s 52 next month, and Paul Weller has probably never been so prolific. Weller is like Star Wars, or Mrs Thatcher: I’m too young to remember a time when he wasn’t exerting some kind of influence on the culture. First there was The Jam (1976-1982), with whom he defined the angry mood of the young under the Tories; then The Style Council (1983-1989), whose slicker sound seemed to embrace the blockbuster Eighties, not rail against them. When that band collapsed with the record company refusing to release their final album, he spent a few years in the wilderness before returning not only as a solo artist, but as an inspiration to a generation of Britpop bands and their fans. That’s where my friends and I came in, falling for the pastoral charms of Wild Wood (1993) and Stanley Road (1995). Three career high points might be enough for most men, and the Britpop sheen had long worn off by the time 22 Dreams came along a decade later. Still, here we are, Weller a critical and commercial hit once more – and with another invigorating leftfield LP, Wake Up the Nation, on the way out. After Weller quit The Jam, he and bassist Bruce Foxton supposedly didn’t speak for more than 20 years. Yet fans were overjoyed to learn that Foxton would appear on two tracks from the new album. His thrilling bassline for “Fast Car/Slow Traffic” is unmistakable. The pair finally exchanged a few words at a Who gig in 2006, but their studio reunion came about, Weller explains, when he discovered that his old bandmate’s wife was seriously ill.
Weller lost one of the few constants in his own life last year, when his father John died of pneumonia, aged 77. John Weller – former boxer, factory employee, construction worker and taxi driver – bought Paul his first guitar when his son was 12, and became his manager a few years later. When The Jam signed with Polydor in 1977, John told the A&R men that he didn’t have a bank account; they’d have to pay him the £6,000 advance in cash. The Wellers left with their pockets full of tenners. Despite his dismay when Paul disbanded The Jam, the pair’s professional relationship remained as close as their personal one until illness caused John’s retirement in 2004. When Weller’s career first took off, the country was suffering an economic crisis, and on the brink of voting in a Conservative government. He famously joked about being a Tory in an interview with the NME, which didn’t go down too well with his leftwing fans. (Later, he was an enthusiastic, then disillusioned, member of Red Wedge, the pop music branch of the Labour Party.) Nowadays, he’s unambiguous in his contempt for David Cameron, who claimed to be a fan of The Jam’s angry, satirical single about his alma mater, “The Eton Rifles”. Previous Entry Paul Weller Images From Hop Farm 2009! Next Entry Paul Weller’s Spotify Mixtape!